With Valentines day right around the corner, there's something I can't resist about these little red fruits. Strawberries are cute, kinda kitschy, and hold a special place in my heart. 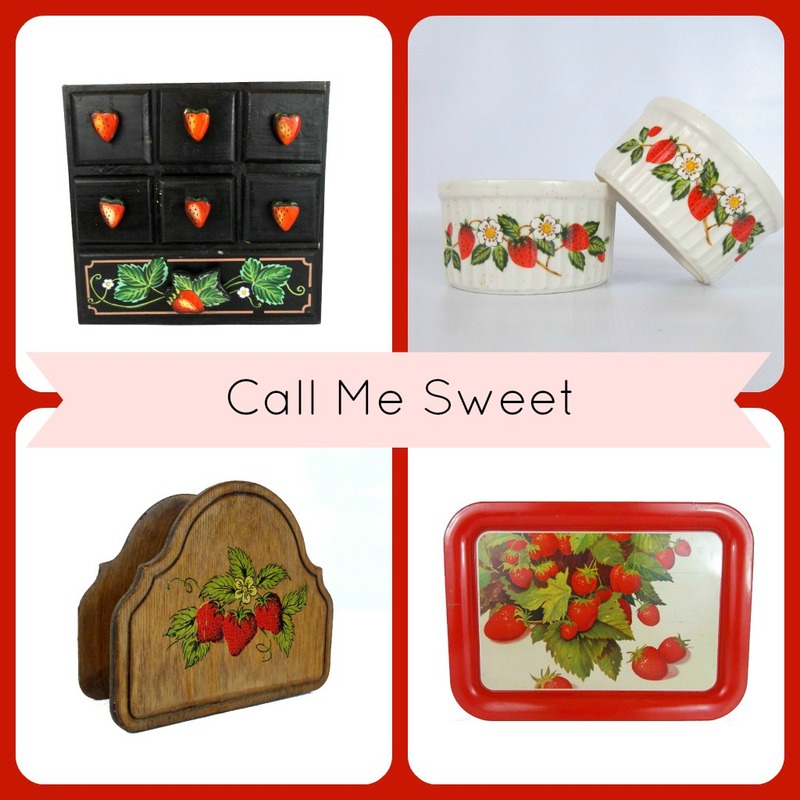 Don't really know why, but I am always on the lookout for vintage strawberry things. Here are some of my recent strawberry-loving things. I think we all have a weakness for one thing or another, right? Whether an animal or vegetable or fruit or whatever tickles our fancy!